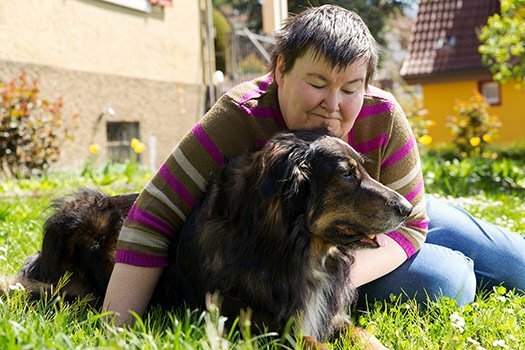 Through a wide range of diverse programs, individuals with disabilities are encouraged to make their own decisions about how they will live their lives, and are assisted in exploring options. Intake and Independent Living Planning: Staff or peer counselors can meet and visit with individuals or family members to inform them of available programs, services, opportunities and resources. Independent Living Skills Training and Classes: Brings together individuals seeking to increase their knowledge, skills, or abilities in order to live more independently. 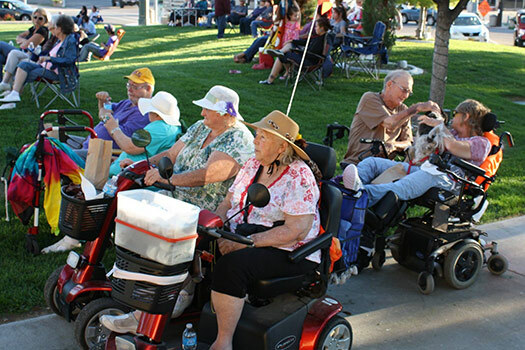 Active Access Support Group: Monthly meetings to unite individuals who use scooters, wheelchairs or crutches for mobility with the community. Includes training / education and recreation. It meets the 2nd Tuesday of the month. Caregivers Support Groups: Monthly meetings that provide education, referral services, support and assistance to families and professionals involved with caregiving. It meets the last Wednesday of the month. Grief Support Groups: Monthly meetings that give support to those experiencing grief from the loss of a loved one. It meets the 2nd Wednesday of the month. Service Coordination: Helps support, integrate and coordinate the services a consumer is receiving from a variety of agencies. Peer Counseling: A service which matches the consumer to another person who has a similar disability for purposes of sharing experiences, knowledge or skills. Information and Referral: Information and referrals concerning services and resources which are available on a local, state and federal level. Self Advocacy: A service which supports and enhances the consumer's ability to be assertive when faced with obstacles in pursuit of independent living goals. PERKIE Travels: Daily transportation from Carbon and Emery Counties for cancer patients in need of radiation treatments at Utah Valley Medical Center in Provo. More about PERKIE Travels can be found here. Interpreter Referral: Service matches consumer with qualified interpreter to facilitate effective communication. Low Vision Coordination: Education in adaptive techniques and devices, peer support groups, peer counseling, orientation and mobility training, information on resources and benefits available to those with low vision, and social/recreation activities. Transportation: Active Re-Entry has a bus to provide route deviation transportation services for senior citizens and people with disabilities. The bus is available during regular business hours of Monday-Friday (excluding holidays) from 8-5. This bus is utilized to transport Active Re-Entry consumers on a regular basis and is the first priority. Other service is only available if it does not conflict with Active Re-Entry's program usage, and a driver is available. Outreach: Activities generated to make contact with potential consumers of Active Re-Entry and the general community. Disability Awareness: ARECIL staff and volunteers are willing to provide a 'hands-on' experience of what it means (on a very limited short term basis) of having a disability. Systems Advocacy: Activities intended to influence community decisions by including persons with disabilities and supporters in the decision making process. Methods may range from being elected to boards, to being high profile in community activities. Public Information Dissemination: Designed to generate public information regarding independent living services and related events. TTD Training, Auxiliary Aids, Emergency Call Systems, Assistive Equipment, Brailling and Large Print Services: Initiated to help businesses, governments, and non-profit organizations have available appropriate aids, accommodations, materials and information, including materials in braille, large print, audio tape or other accessible formats. Newsletter: Articles concerning current disability issues and center activities. Published bimonthly. Online copies of the newsletter can be found here. ADA Technical Assistance, Facility Evaluations: Advice and consultation to individuals, businesses, an the community on the Americans With Disability Accessibility Guidelines. A specialized computer program, ADAAG PRO is utilized to provide a printout of accessibility obstacles and possible solutions. All consulting services are free to businesses and governmental entities in Eastern Utah. The Assistive Technology & Equipment Loan Bank program is designed to facilitate consumers in obtaining necessary assistive technology. Services include: evaluations by professionals specializing in assistive technology, funding information, research and problem solving and equipment loans. Consumers participate in numerous social and recreation activities within the community such as arts & crafts, plays, concerts, cooking classes, river trips and visits to Rosebud Llama Farm. We believe that all individuals should have the opportunity for social interaction without discrimination because of a physical limitation.